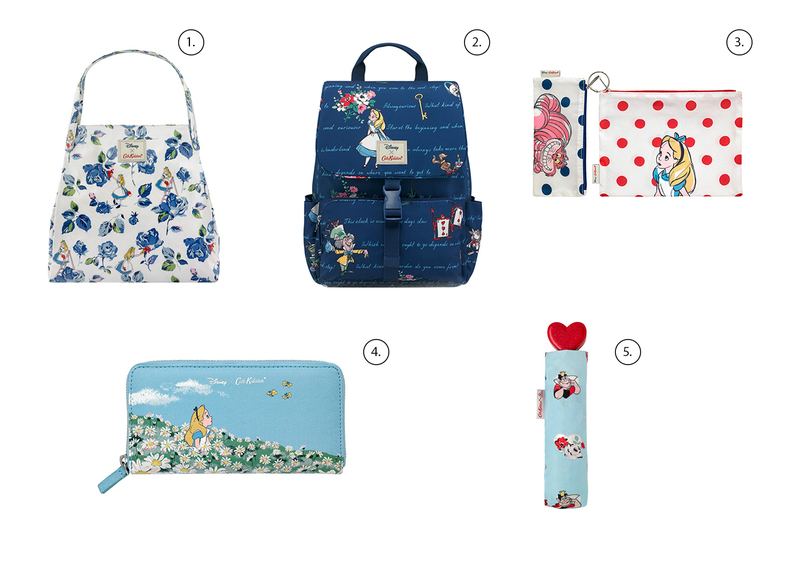 As most Disney fans probably know, Cath Kidston announced their latest collobration with Disney a few weeks ago. On Thursday (24th May), the new Alice in Wonderland x Cath Kidston collection will be pre-released online and in selected stores at 7pm. Whilst I do wish the collection had been Mary Poppins, I’m a lot more excited about it being Alice in Wonderland that I thought I would be. There are some beautiful pieces, and I’m sure I won’t be able to resist at least a small purchase on Thursday. They have incorporated the Disney classic perfectly with the Cath Kidston prints. I’m currently saving all I can for Disneyland Paris in a few weeks time, so I won’t be buying much from the release for now. I am hoping to collect a few pieces over time though. With the last Mickey Mouse collection, I really enjoyed putting together a wishlist so thought I would do the same this time around. You can see the full preview on the Cath Kidston website here. Although I’m not a fan of the style of bag, I absolutely love the pattern on this shoulder tote. The blue looks beautiful and it is such a clever use of Alice. Unfortunately I wouldn’t use a bag like this one very often, but it is still gorgeous. I can imagine it will be quite popular. I think this might be my favourite out of all the pieces. I seem to have an inability to resist Cath Kidston backpacks… The quote pattern from the collection is by far my favourite. I love the colour and that there are so many different characters included. The design of the bag looks great as well, especially the water bottle holders on the outside. I am going to struggle to resist this one I’m sure. Hoping I can hold out until it inevitably goes in the sale. I’m a massive fan of pouches as it makes organisation so easy. They released similar ones in the last collection, and these look just as lovely. I particularly like the Alice one. They don’t seem too bad a value for money either considering how nice the pattern is and how useful they are. Whilst I won’t be buying this piece, I highly recommend it! I have the wallet from the 101 Dalmatians collection and it is one of the best purchases I ever made. The continental wallets have so many card sections, sections for both cash & cards as well as a pocket at the back on the outside. The one I have from the other collection is still in mint condition despite using it daily for over a year now. The design of this Alice one is beautiful! I love the pattern on both the outside and the inside. The umbrella is so cute! I love the heart at the end of the handle. The only thing putting me off this one is the price. £30 seems like a bit much for an umbrella if you ask me. It would be a good purchase once it goes into the sale though. As I mentioned before, I love the quote print so much. This shirt dress is stunning. It looks beautiful and I can just imagine it is even nicer in person. Unfortunately I don’t think I would get enough wear out of it to justify spending £80. I do love it though, and it is one of my favourite pieces from the collection. I always seem to be tempted by the jumpers from the Disney collections for some reason, and this one is no different. The design is super cute and I don’t think the price is *too bad* considering the brand and design. I wouldn’t have a use for these with still living at home, but I love the design of the two tumbler glasses. They look so pretty, I’d be terrified of braking them! I have a mug from the 101 Dalmatians and the Peter Pan collection and I love them. They are the perfect shape and size. These mugs are great value for money and I use them all the time. I will be definitely be getting one of the mugs on Thursday. I haven’t decided which character yet though, but I’m leading towards Alice. 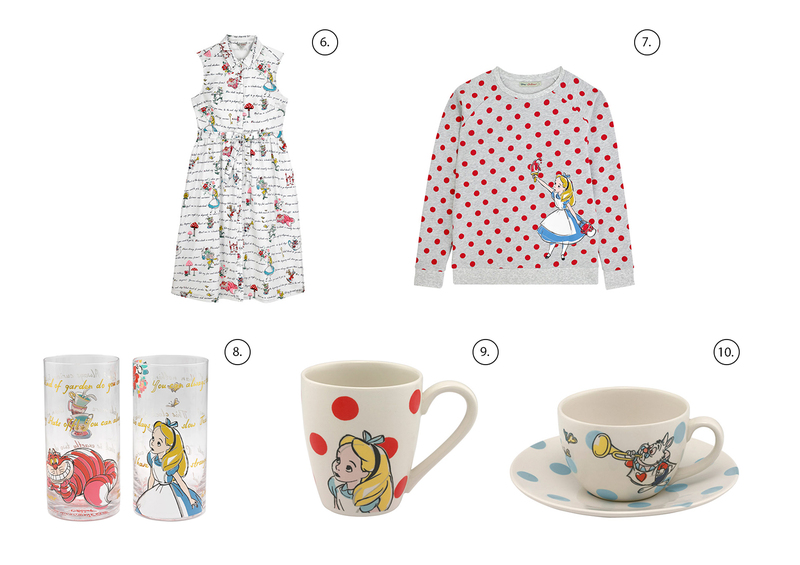 A teacup seems like the most essential item for a Alice in Wonderland collection. I am wondering if any other characters are on the cup though as you can only see the one in the preview. £18 seems a little pricey, but it still is absolutely perfect for the collection. View the full collection online here! Hope you manage to get everything you would like from the new collection! I’ll be there ready to have a browse and maybe make a couple of purchases this Thursday at 7pm!